In the previous episode of The Good Place, Michael received permission to carry out a second neighborhood experiment on a new group of humans. The first of those humans, John, arrived. But Michael was unable to meet with him, due to a panic attack. What does this next installment have in store? Let’s find out as we recap The Good Place season 3 episode 12! Eleanor attempted to comfort and calm Michael, but he was unresponsive to her reasoning. After much deliberation, Eleanor went and greeted John, posing as the Architect. Eleanor informed John of his death and that he was in the Good Place. She next took John on a tour of the neighborhood, and she introduced him to Janet. Eleanor took Michael to meet with Chidi, Jason, and Tahani and informed them of the current situation. Chidi was getting prepared in his role as John’s guide to the afterlife, by reading through his entire life. Eleanor went back to the main office to meet the next resident. John intercepted Tahani, and recognized her from his work as a celebrity blogger. Afterwards, Tahani complained to Eleanor and Michael about John. Michael and Eleanor quickly deduced that the Bad Place had selected people that would annoy the original four humans. Their concerns were buoyed when the next member of the neighborhood arrived, it was Simone, Chidi’s ex-girlfriend. The group called the Judge and Shaun to accuse the Bad Place of breaking the rules of the experiment with their selections. The Judge ruled that it wasn’t against the rules, but Michael would be allowed to erase Simone’s memories of Chidi. Simone awakened and Eleanor took her on a tour of the neighborhood. Michael and Eleanor both expressed how thrilled they were with their current situation and wanted to continue it. Chidi had a mental breakdown about Simone’s presence and asked to have his memory of Simone wiped. Michael was resistant to it, as it would also erase his memories of Eleanor. After much debate, the group eventually agreed to erase Chidi’s memory in order to uphold the integrity of the experiment. As a farewell gift, Michael showed both Eleanor and Chidi a highlight reel of their time together in the many neighborhood simulations. They both broke down into tears by the end of it and assured each other that they could rekindle their relationship once again. Chidi’s memory was successfully wiped. The next day, Eleanor asked Janet to explain the reason for human existence. Janet tried to comfort Eleanor by explaining how she felt when Jason was on Earth and did not recognize her. After much discussion of the book, Paradise Lost, Eleanor decided to embrace the chaos and unique situation she had been placed in. 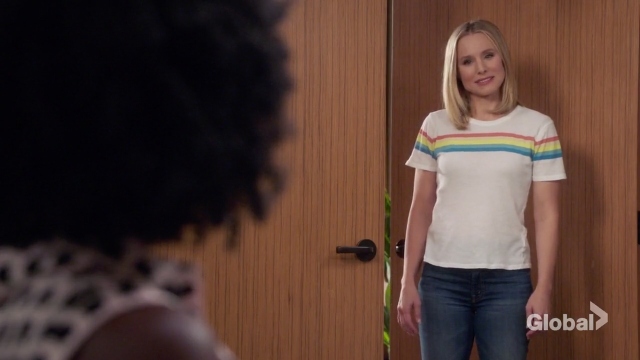 Eleanor walked out of the office and welcome a freshly memory-wiped Chidi into the Good Place. 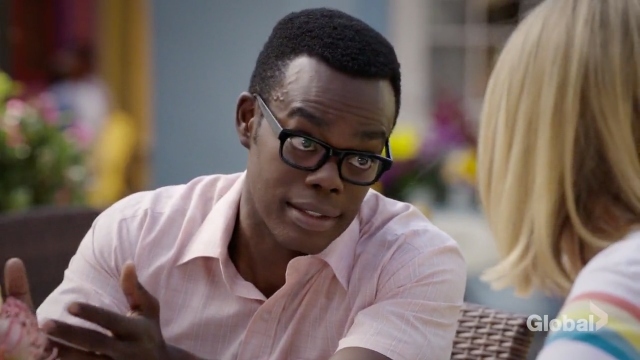 What did you think about The Good Place season 3 episode 12? Let us know in the comment section down below! 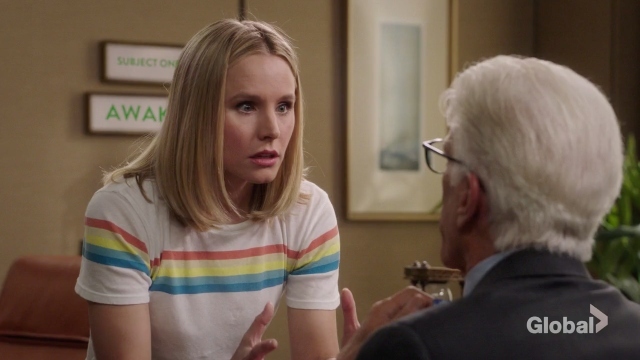 The post The Good Place Season 3 Episode 12 Recap appeared first on ComingSoon.net.